As an agency that specializes in multicultural communications and cause marketing campaigns, the most important investment any public relations firm should make is in the people who make up the core service team. This PR agency should hire a group of marketing and communications professionals as diverse as the campaigns they develop. At OCG+, we understand that a team should reflect the people it wants to reach, and clients that team is passionate to serve. The diverse lens we use for our clients, we first use on ourselves. The culture we breed internally should be reflected externally. Our team is diverse and experienced, cultured and skilled. Take an opportunity to learn about the open channels group within OCG+. 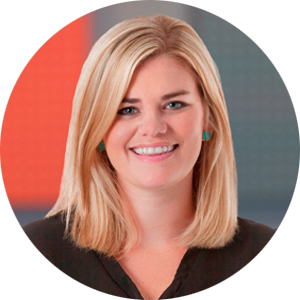 Rebecca has a passion for everything digital marketing, with a heavy focus on SEM. Driven by numbers and always eager for new challenges, she relishes the dynamic nature of the digital industry as it allows her to continuously learn and grow. Her broad spectrum of client experience includes multi-million-dollar retail chains, healthcare, local organizations – and all points in between. 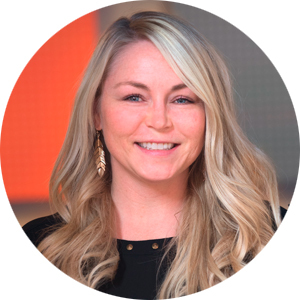 Not surprisingly, Rebecca is an excel wiz, enabling her to create and maintain extremely accurate pacing dashboards to monitor the budget, spend, performance metrics and month-over-month performance change for all of her clients. She is dedicated to producing the best, most-efficient results day-in and day-out. For Rebecca, it’s not simply about meeting a client’s goals – it’s about exceeding their every expectation, every step of the way. As the content manager, Sarah Karger brings a decade of marketing, communications, media relations and graphic design experience to OCG+. She specializes in growth focused marketing and communications strategies that amplify the message and brand awareness of her clients. She delivers fully-integrated marketing campaigns that create maximum brand exposure for her clients. She has led marketing strategies for some of the largest and most beloved brands in the world including Disney, Star Wars, NFL and NCAA among many others. She is a published ghost writer and has had the distinct pleasure of seeing her clients appear in/on highly coveted media outlets such as TODAY, Good Morning America, Newsweek, Huffington Post and more. Combining her highly-developed skills as a content strategist, her aim is to position brands as a thought leader in their respective industry and build meaningful engagement between brands and their audience groups. 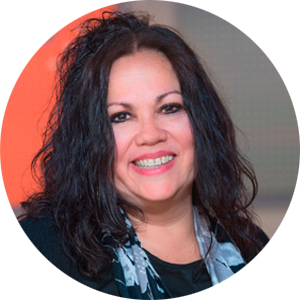 Dianne has more than 25 years of accounting and clerical experience, and is the go-to person for all things accounts payable and receivable. She processes invoices, billing, and provides monthly reporting. Clients and OCG+ team members appreciate her pleasant attitude, sharp mind, accuracy, and efficiency.